The Centre for Humanitarian Data is focused on increasing the use and impact of data in the humanitarian sector. It is managed by the United Nations Office for the Coordination of Humanitarian Affairs (OCHA). The Centre’s services are available to humanitarian partners and OCHA staff in the field and at Headquarters free of charge. 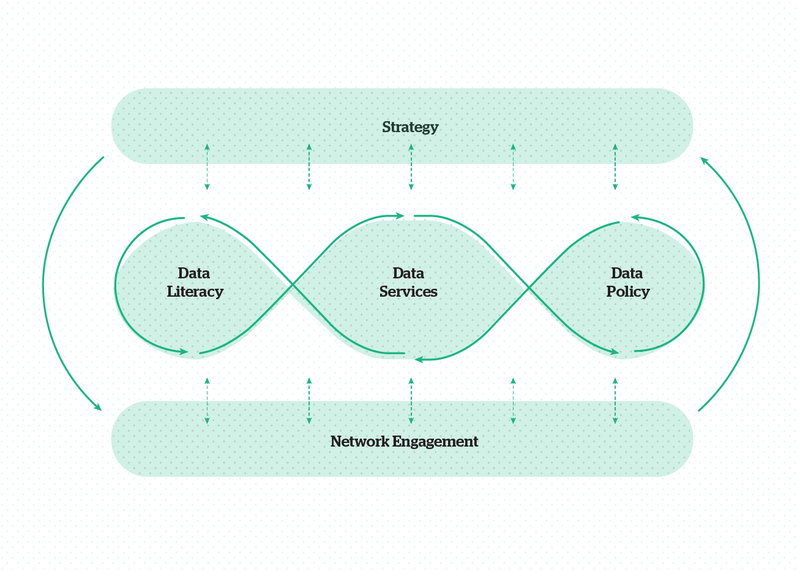 The Centre is focused on four areas: 1) data services; 2) data literacy; 3) data policy; and 4) network engagement. Our vision is to create a future where all people involved in a humanitarian situation have access to the data they need, when and how they need it, to make responsible and informed decisions. Speed of data: We want to speed-up the flow of data from collection to use. We want to shift from using outdated information to understand humanitarian crises to having data that reflects a current day, real-time understanding of a crisis. Connections in the network: We want to increase the number of partners who are connected to the Centre and each other through a shared data infrastructure and shared data goals. Increased use: We want to make sure data is used better and more often by the people who are making critical decisions in a humanitarian response. We need to make sure data and related insights are accessible to non-technical people. The Centre’s activities will accelerate the changes required for the humanitarian system to become data driven. Humanitarian partners are collecting and sharing more data than at any other time. This trend will continue as more systems, sensors and people come online in crisis settings. How the humanitarian community handles this data revolution to inform decisions and improve lives will be a key determinant of its future effectiveness. The Centre is a part of the Agenda for Humanity and supports the Sustainable Development Goals and Agenda 2030. The Centre is an example of a new way of working to embrace innovation and develop solutions together as one global community, enabling a step-change in how we respond to crises. Most critically, the Centre will ensure that data is a force for good and benefits humanity. Human-Centered: We use a human-centered design approach to our activities. We exist to help people use data more effectively to improve lives and reduce suffering. All user groups will be considered when designing solutions, products and services. Open: The Centre is open to collaboration with a wide variety of partners, including through a shared work space in The Hague. Software and standards are open source with all code made available through GitHub. Data will be open to the extent that partners wish for it to be open and as long as it does not infringe on the privacy or security of individuals. Networked: The Centre is not ‘the centre’ of anything but part of a network of data-focused partners. Entities with a comparative advantage in specific fields will be asked to lead aspects of the work rather than trying to do everything ourselves. Agile: The Centre is run with a start-up mindset. We will adapt to demand and new innovations. Projects will be developed in an incremental and iterative manner. We are flexible in our approach to delivering on our mission and objectives. Although the Centre supports a range of activities, we directly manage two products: the Humanitarian Data Exchange (HDX) and the Humanitarian Exchange Language (HXL). The goal of HDX is to make humanitarian data easy to find and use for analysis. Launched in July 2014, HDX has a growing collection of datasets about crises around the world and has been accessed by users in over 200 countries and territories. HXL is a data standard. We refer to it as a ‘simple standard for messy data’. The use of HXL is focused on spreadsheet formats such as CSV or Excel. HXL hashtags are added between the column headers and the data to allow software to process data more easily and create insights more quickly. You can read more about HDX and HXL in Data Services or in this one pager. You can also take a look at the Frequently Asked Questions for HDX.